AMC Theatres, the entertainment company owned by China's richest man, is agreeing to buy Odeon and UCI Cinemas Group in a £921m deal. The deal has been agreed with the cinema chain’s owner, private equity firm Terra Firma, which will be given £500m for equity, comprising 75% cash and 25% in stock consideration, as well as £407m of net debt as of 31 March. Investment tycoon Guy Hands, who founded Terra Firma in 2002, had been courting bids since last year but won backing from investors to delay in the hope of securing a bigger deal, following strong box offices sales in 2015. AMC is majority-owned by Chinese billionaire Wang Jianlin’s Dalian Wanda Group, which last week revealed plans to create a rival football competition to rival the European Champions League. Odeon and UCI is the number one theatre operator in Europe and owns 242 theatres with a total of 2,236 screens. It is also the biggest cinema media owner in the UK, Ireland, Italy and Spain and had about $1.16bn in revenue for the last 12 months ending 31 March 2016. The combination of AMC with Odeon and UCI will result in AMC operating 627 theatres and more than 7,600 screens in eight countries. Odeon's advertising sales are handled by Digital Cinema Media, which handles around 80% of the UK cinema ad sales marketing. AMC said it expected an increase in attendance and revenue at Odeon and UCI theatres after it introduced "proven growth initiatives", including adding reclining cinema seats, better food and drink, and "further developing Odeon and UCI’s innovative marketing, customer relationship management and pricing expertise". Odeon launched an advertising review in April after briefly commissioning 101 to work on brand strategy last year and appointing Rufus Leonard late in 2015 to work on its branding. 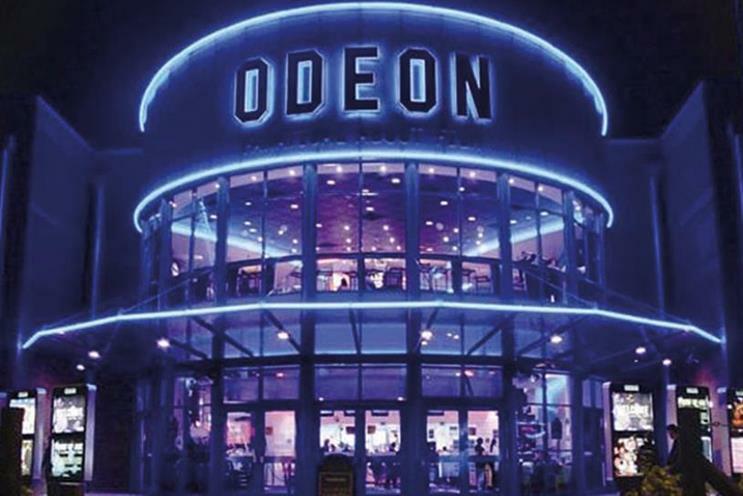 Manning Gottlieb OMD has held Odeon’s £2m media business since 2013. The transaction is conditional upon antitrust clearance by the European Commission and subject to consultation with the European Works Council.